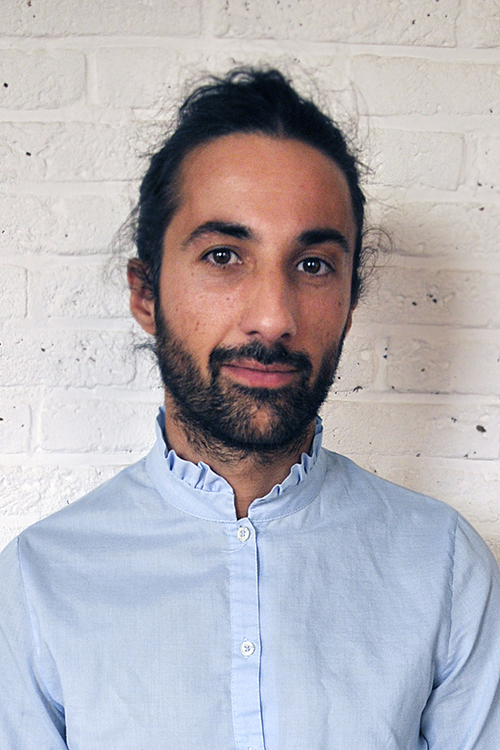 Loïc Perela is an independent choreographer and teacher. He studied at the ENSDM in Marseille and the CNSMDP in Paris between 1998 and 2004, following a very classical education. He then went on to work as a dancer for IT Dansa in Barcelona, Donlon Dance Company in Saarbrücken and Scapino Ballet in Rotterdam between 2004 and 2012. Those companies offered a repertoire that derived its source from a deconstructed form of classical ballet towards modern forms of dance. During those years Loïc’s main focus was to perform and to learn from all the processes he was invited to be part of in order to discover his body and mind, while starting to choreograph. Following the need for a broader frame to create his own work Loïc went on as a freelance choreographer and has been since 2012 artist in residence at Dansateliers in Rotterdam. In 2015 he won the Nederlandse Dansdagen Prize for upcoming Choreographer. For the season 2017-2018, he was one of the long residents at K3 | Tanzplan Hamburg. He is currently studying Arts and Humanities at the Open University UK. Loïc creates dance performances as a tool for growth, for reflection, for the experience of the sensorial, for the potential to enter a conscious state. He wishes for the theater to be a place where that can happen. Where artists and visitors can meet to experience together and share a moment through which they will connect to a deeper self on the one hand, and to a collective (un)consciousness, on the other hand. In his work Loïc is interested in generating compositions that appear to be natural unfolding of events, very sensorial and experiential in the way they are perceived. His focus during the creative process is on clarifying the precise structure needed to generate such outcomes. This is what he calls hidden choreography. He envisions choreography as a medium to move bodies as much as a way of moving space, sound and time. These various elements are composed within situations that become islands of possible meanings and sensations. That in turn proposes different ways of perceiving dance as opposed to merely watching it. Consequently, the energy generated involves the visitors.